Since everyone’s situation is different, here are the pros and cons of leasing and the pros and cons of buying. Some of these points are financial factors and others relate to your needs and lifestyle. Keep in mind that there isn’t always a perfect answer to the question of whether to lease or buy. If you’re looking to lease or buy, make sure to apply here today for financing. Also make sure to check out our new inventory here. You may find it costly to terminate a lease early if you’re driving needs change. Ultimately, it’s up to you to weigh the pros and cons, determine your needs and decide which choice best suits your lifestyle! 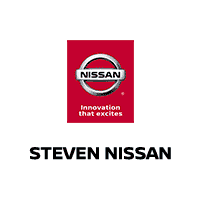 Come on in to Steven Nissan in Harrisonburg, VA and meet with our knowledgeable sales staff today! We will work together with you to figure out the best solution certain to fit your needs.